Their follow up album Lucy was also well received earning them a platinum certification and solidifying them as a tour de force in the thriving 90s music scene. The band would then go on to release Happy Pills in 1998, which would be their last album before their eventual hiatus in 2000. 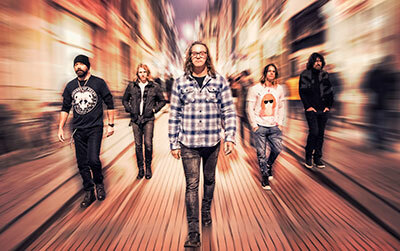 The driving force behind Candlebox’s success has been their explosive live show and throughout their career, they’ve toured with such bands as Living Colour, The Flaming Lips, Our Lady Peace, Rush, Henry Rollins, Metallica and more. They were also a featured band on the main-stage at Woodstock '94 and made repeat live performances on the David Letterman show.